The U.S. Department of Energy now estimates a factor of 14 increase in grid-connected systems between 2009 and 2017, depending upon various factors such as incentives for renewables and availability and price of conventional fuels. 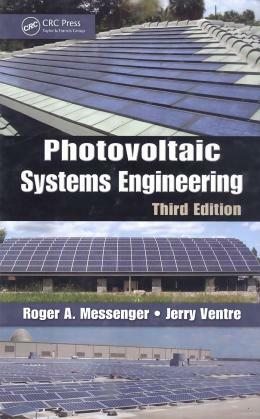 With this fact in mind, Photovoltaic Systems Engineering, Third Edition presents a comprehensive engineering basis for photovoltaic (PV) system design, so engineers can understand the what, why, and how associated with the electrical, mechanical, economic, and aesthetic aspects of PV system design. Building on the popularity of the first two editions, esteemed authors Roger Messenger and Jerry Ventre explore the significant growth and new ideas in the PV industry. They integrate their experience in system design and installation gained since publication of the last edition.